This small pocket of outdoor space on Bourbon Street is dedicated to the renowned musicians of New Orleans. Stop in to listen to jazz music daily from 10am to close. The stage is small, but the setting and music make for a great place to sit and listen for a stretch. Tables and chairs are mixed in among statues of musicians, and Café Beignet calls the back of the courtyard home. Plan on snacking on warm beignets or order up a Cajun specialty for breakfast, lunch or dinner while listening to local musicians do what they do best. 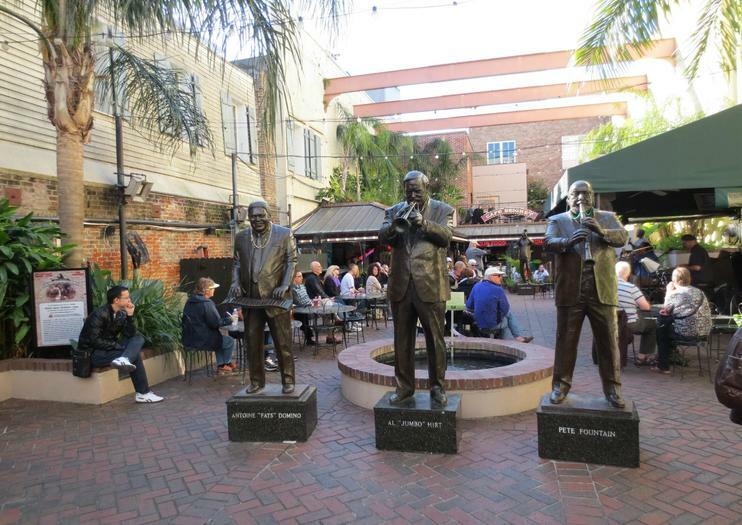 Musical Legends Park is located at 311 Bourbon Street. Performances are free. Leashed dogs are welcome in the park.